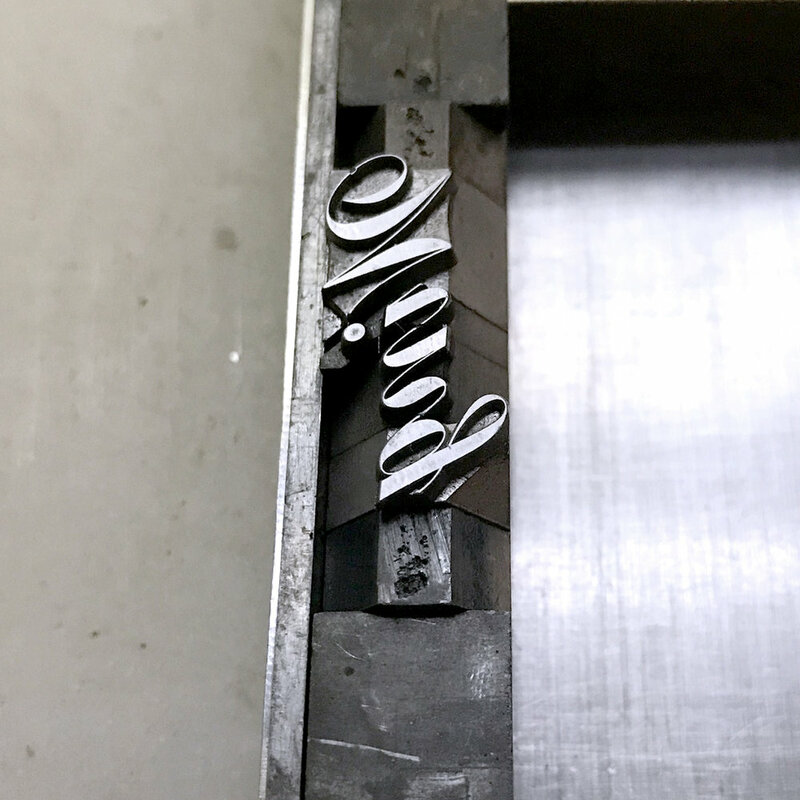 You may occasionally stumble onto metal type that looks a little different. Many modifications have been made in the process of creating type to accommodate the shortcomings of the medium. Here are three of them, direct from the foundries. There are thin spaces up to quads on angles and then end pieces that fit with them (the triangular shaped piece) to finish the line and make it flush. Here you can see all of the angles. 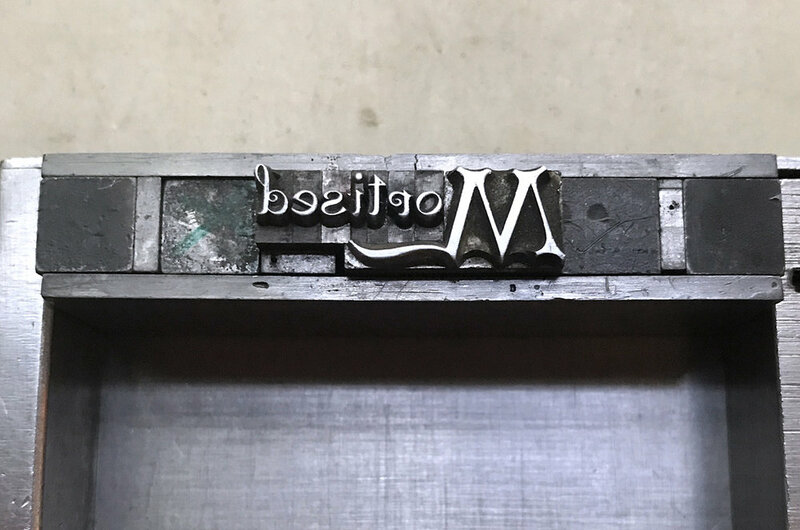 It is possible to letterspace with coppers and brasses; when I do this, I tend to work in a smaller size so that they fit along the longest part of the angle. The top and bottom of the angled spacing has a slight curve to it. 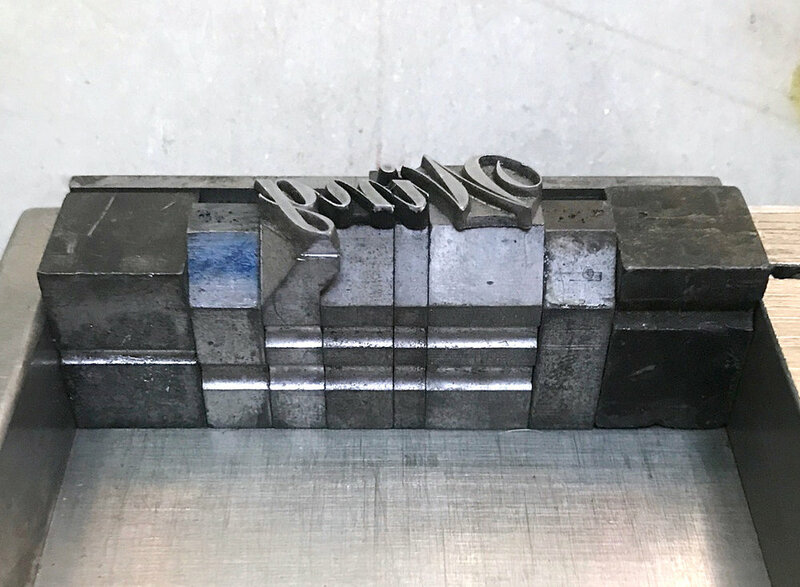 Another way to cope with type on extreme angles was to keep the body size regularly while altering the top section of the sort, with the letterform itself at a slant in a way that couples together with the letters next to it. Wing body type also often comes with its own spacing. Here you can see how the face of the 'g' extends past the rectangular body. The angled nature of the spacing also provides support for these extended sections. The 'W' and 'i' also extend to the left in the above photo. Normal spacing also works, though not always in between letters or right next to them, given the angles at which the letters are cast. 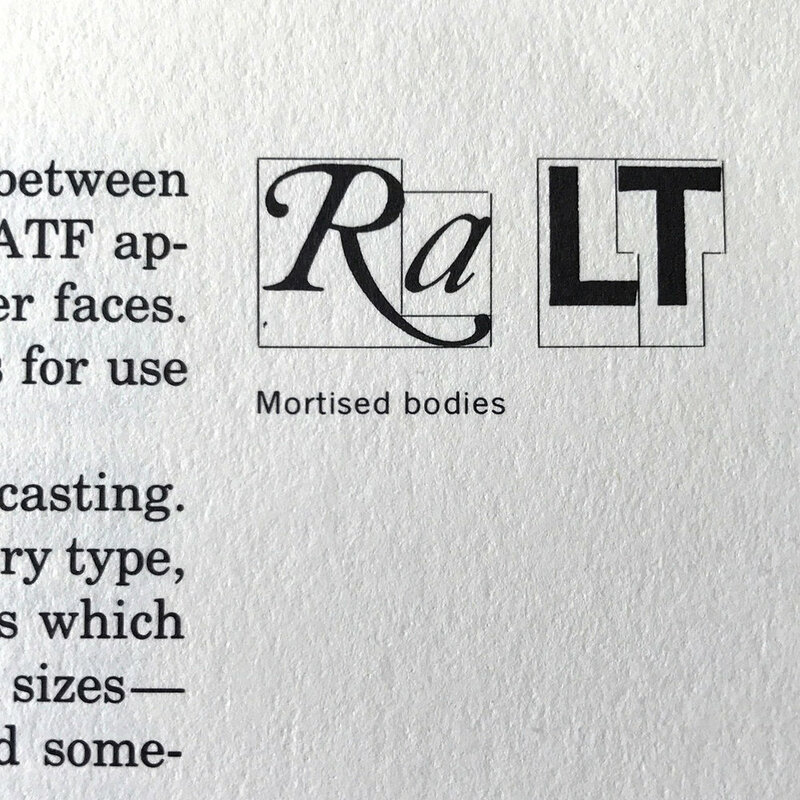 Another option for kerning metal type was to mortise it so two sorts could fit together like a puzzle. I've seen a few samples of these mortised pairs in metal (more common in wood... we'll get to that eventually) but I'm showing an initial cap here because they're much more common. Don't be afraid of type you might find that's a little off the norm, such as these examples. 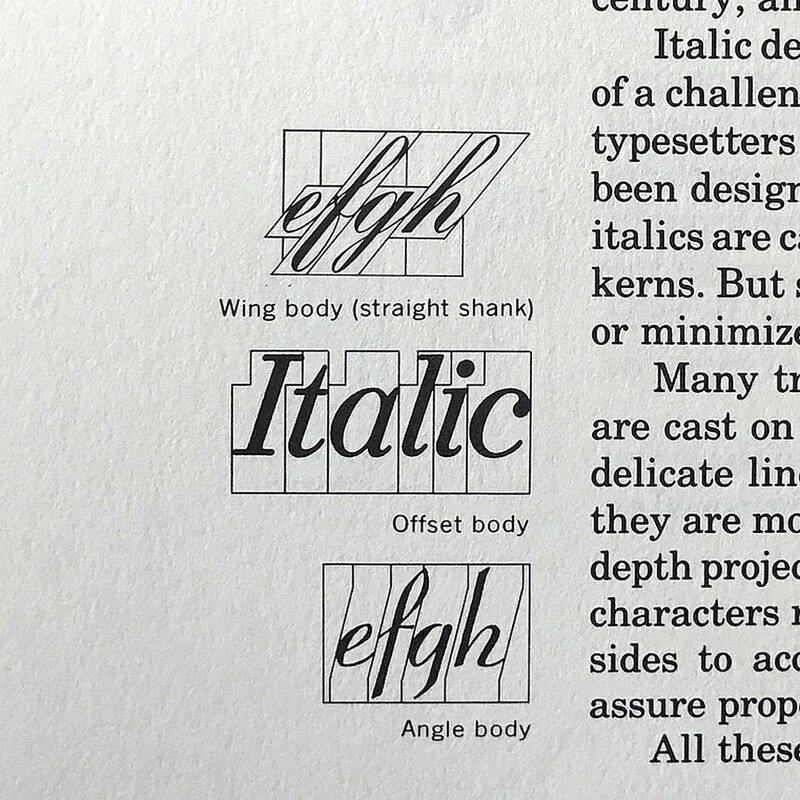 With some research and understanding, they can add so much variety to your typographic vocabulary and can offer many more options for improved kerning.